19 4. Prove ability to use plant keys to genus and species. 20 5. Tell the difference between perfect and imperfect flowers. 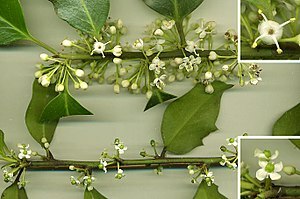 What is meant by pistillate and staminate flowers? Give an example of monoecious and dioecious plants. 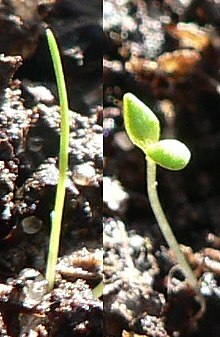 Tell the difference between monocotyledons and dicotyledons. 21 6. From the Bible point out two spiritual lessons in which writers used flowers for illustrations. 22 7. Name and describe eight poisonous plants, noting the particular part of the plant that is poisonous. 23.1 a. Name five plants that are of medicinal value and indicate what part of each plant is used. 23.2 b. Name ten wild plants that are edible in root, stem, or leaf. 23.3 c. An option from requirement 6 of the Flower Honor not completed for that Honor. Instructions and tips for earning the Flowers honor can be found in the Nature chapter. Creative Idea: Use a foldable to record / organize this information. Go here http://www.youtube.com/watch?v=b6K0RnlNM7E to learn how. Use: The flowers can be eaten raw, added to salads, boiled in soups, or dried and ground to flour. They can also be used to make fritters. Red clover is shown here, but white clover is just as good (but a little smaller, so it takes more work to collect). The leaves and stems are also edible in salads or as greens. Use: Add the young, tender leaves to salad raw, or boil and eat as greens. The roots can be roasted and ground, and used as a coffee substitute. Use: The stems, shoots, leaves, flowers, and young pods are all edible after they are boiled in several changes of water. The milky sap tastes bitter and is mildly toxic, but boiling removes it completely. This page was last edited on 5 November 2018, at 09:33.